That depends on where you are in your life, where you are in your ADHD discovery and what you need right now. When you are first diagnosed with ADHD (or first suspect that you own an ADHD brain), you probably did one of two things: 1) went crazy with research to suss out every shred of pertinent ADHD information about ADHD or 2) ignored the whole thing, hoping it might be mistake and that if you sit still it will stop bothering you. Either way, newbie ADDivas want to FIX IT – with medication, organizing tips, apps to get them anywhere on time (instead of late again). That’s where our ADDiva Weekend Intensives come it: to help you sort out your ADHD and provide some guidance about what works (and what doesn’t). 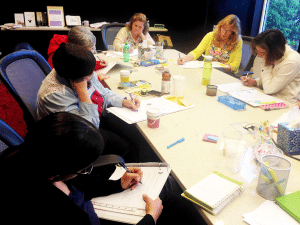 Though this isn’t a full-fledged ADDiva retreat, deeper issues arise in the group: “How do I help my family understand my ADHD?” or “I just can’t get motivated to finish anything.” We never ignore the bigger issues: Linda coaches the individual which often helps the entire group. If you want clear, accurate, cutting edge information about how to handle your ADHD and your time and/or budget is limited, this is the ADDiva event for YOU. Focus: Embracing and loving your ADHD life. A more thorough look at how you can best link arms with your ADHD while you skip down that yellow brick road. As you move forward, you understand more than ever that you might as well hug your ADHD – e.g. work with it instead of fighting it – because it’s not going anywhere. Ever. “Born to Be Extraordinary” is designed to help you embrace your ADHD with a positive focus while it addresses the tough issues: relationships, depression, money, self esteem. It’s full of education, encouragement and emotion. We’re together for nearly a week; that’s more than enough time to shed the “other life” and begin to hug not only your ADHD, but wild, wonderful, wacky self! The signature ADDiva beach retreat, Sea Change literally is about “turning the tide of your life.” You’ve taken care of others, you’ve worked hard on clearing out those piles, but isn’t there more to life that simply dealing with ADHD? This retreat is about living your life purpose, about sharing your gifts with the world in the way only you can. It’s about (finally) moving out of the shadows and into the light of your own beauty, intelligence, creativity and competence. The beach is a perfect backdrop for transformation; the ceaseless tide, ebbing and flowing, is like a life-giving force that beckons you to come forward, to let go of your shame, to bare your soul to those who treat you with tenderness, because we know, understand and share your pain. Like you, the other ADDivas at the beach, have lost their connection with themselves and they, like you, are determined to reclaim their lives. To go forth with a stronger sense of self and the confidence to grab their ADHD and get out there and LIVE! If you’re ready to transform your life, come to the beach. Come to Sea Change. The “work” we do at ADDiva retreats is deep and meaningful. It’s not just a week at the beach or a restful vacation. 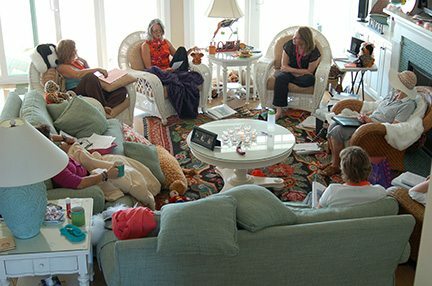 Yes, yes, but what do we DO at the retreats? Each day is different… and a little the same. 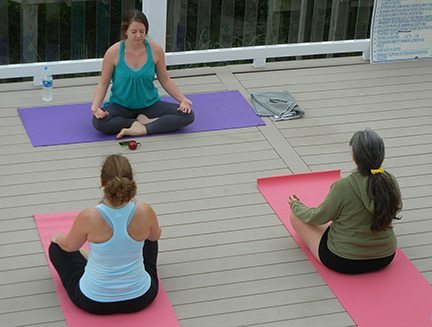 At the longer retreats, there are morning, afternoon, and evening sessions each day. 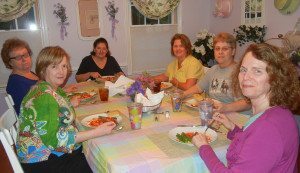 We have special outings – dinner, massage, a party. You’ll have an opportunity to tell your story, to hear others’ stories, and to revel in being an ADDiva without apology or embarrassment. Before Born to be Extraordinary and Sea Change, you’ll take the VIA Survey before you arrive at the retreat and you’ll be acknowledged again and again for your character strengths. There will be plenty of time for walks on the beach (sea Change) or the forest paths (Born to be Extraordinary), writing in your journal, and getting creative in the art room. That opens to space to transformation, gratitude … and hope. No matter who you were before you attended an ADDiva retreat, you will never be the same again. And you might even like yourself as much as we like you!